Our 24 campuses and centers throughout Pennsylvania (including online through World Campus) serve students and communities as we carry out our mission of teaching, research, and service. Contact us today to learn more about what educational options work best for you. 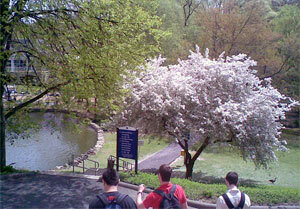 Close to Philadelphia, we provide an array of academic experiences for a diverse group of learners. We offer numerous foundation courses, challenging upper-level courses in a wide range of majors, and one-on-one interactions with accomplished and caring faculty. 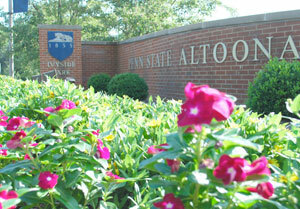 Located in central Pennsylvania, 45 miles southwest of University Park, Penn State Altoona offers the appeal of a small college with the prestige of a major research university and is perfect for adult students who would like to complete a degree or develop their professional skills. Located on a beautiful campus just 35 miles northwest of Pittsburgh and 15 miles from the Greater Pittsburgh International Airport, we offer small classes, award-winning faculty, and a staff deeply committed to student success to provide a truly outstanding college experience. 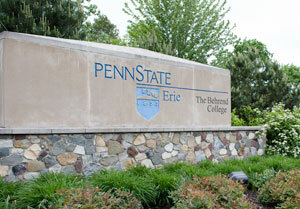 Penn State Behrend is among the largest campuses in the Penn State system and is located in northwestern Pennsylvania on a wooded 854-acre campus, just minutes away from the heart of Erie. The accelerated degree program format that Behrend offers makes getting a degree even more attainable for working professionals. 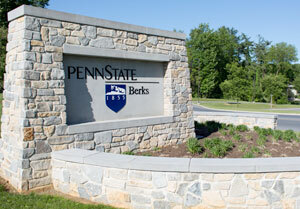 Located in eastern Pennsylvania, near Reading, Penn State Berks offers educational opportunities for adult learners through an extensive selection of continuing education courses, professional certificate programs, and noncredit courses and seminars. 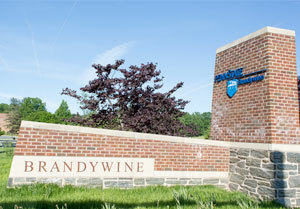 Penn State Brandywine — located about 20 miles west of Philadelphia and easily accessed from throughout the Delaware Valley — provides certificate and degree programs that are designed to enrich your career prospects in your current occupation or in a new field. 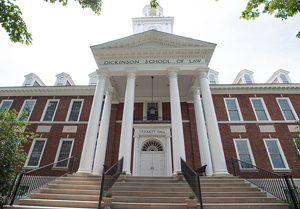 Dickinson Law is located in Carlisle and offers study in various types of law and across disciplines. Our curriculum pairs a strong foundational understanding of national and transnational law with invaluable practice experience. 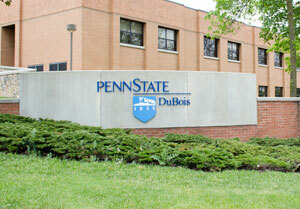 As an adult student at Penn State DuBois, you will get the individual attention you deserve to succeed in a variety of programs, including associate and bachelor degrees, certificates, and professional development programs. Classes are offered in DuBois, Clearfield, and St. Mary’s for your convenience. 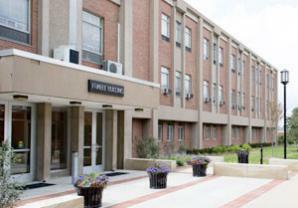 Located in southwestern Pennsylvania on a sprawling 100-acre campus, Penn State Fayette, The Eberly Campus, offers both traditional and adult students an intimate and supportive learning environment with strong ties to the surrounding community. 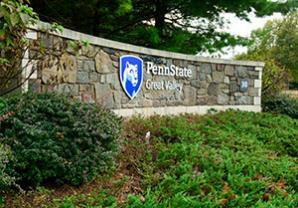 Penn State Great Valley’s School of Graduate Professional Studies delivers world-class master’s degrees and certificates in a beautiful and convenient location, just west of Philadelphia. They offer convenient evening and Saturday classes to accommodate working professionals. 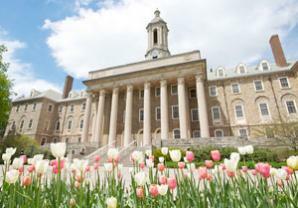 Located just 16 miles southeast from downtown Pittsburgh, Penn State Greater Allegheny offers degree programs, certificates, and training at a convenient location and at times that fit into the busy schedules of students of all ages. 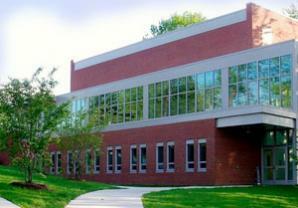 Located eight miles east of Harrisburg in Middletown, Pennsylvania, the campus offers more than 60 associate, bachelor’s, master’s, and doctoral degree programs. 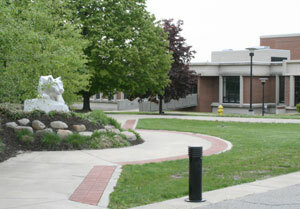 Many courses are offered in the evenings, on weekends, and online to better meet the scheduling needs of adult students. 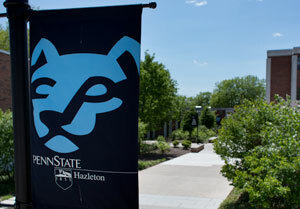 Located in northeastern Pennsylvania on a 104-acre scenic campus overlooking the Conyngham Valley near Interstates 80 and 81, Penn State Hazleton offers in-demand degrees and certificates in a flexible format and schedule to meet the needs of working adults. 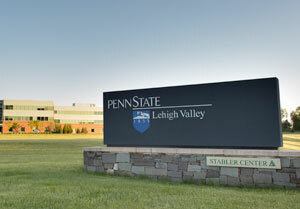 Located just minutes from downtown Allentown, Penn State Lehigh Valley offers a world-class education in a small campus setting. Adult learners can choose from many options, including associate and bachelor’s degree programs, and can access the nearly 160 academic programs offered by Penn State. 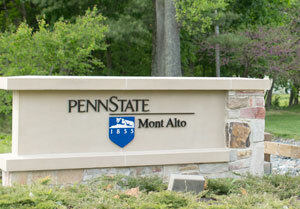 With programs designed to fit the needs of adult learners, from certificates to degree-completion and full degree programs, Penn State Mont Alto is committed to your success. 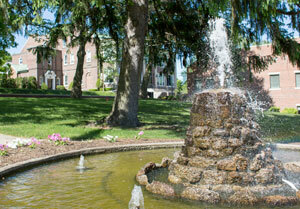 The campus is nestled in southcentral Pennsylvania near Gettysburg, about 60 miles south of Harrisburg. 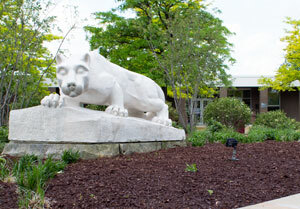 Penn State New Kensington, located 17 miles northeast of Pittsburgh, offers a “close-to-home,” small-campus experience from an internationally renowned university. Adult students can choose from certificate programs as well as associate, bachelor’s, and master’s degree programs. 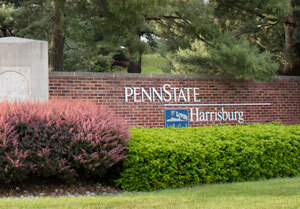 Pennsylvania College of Technology, a Penn State affiliate in Williamsport, has a national reputation for workforce development and as a technical institute. We offer over 100 distinctive majors with hands-on learning using state-of-the-art equipment. 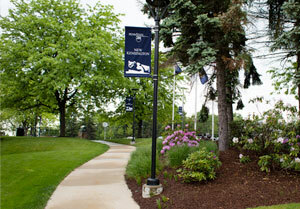 Located in east-central Pennsylvania, Penn State Schuylkill provides a world-class education in a small-town setting. Adult students at our campus appreciate the one-on-one attention from staff members, as well as the small class size, assistance with financial aid, and adult student clubs/organizations. 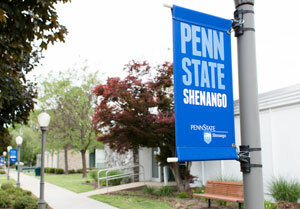 On 15 acres in downtown Sharon, Penn State Shenango is committed to the success of its students. Adult learners have a variety of degree programs to choose from, including certificates and associate and bachelor’s degrees in business, health care, science, and other high-demand career paths. 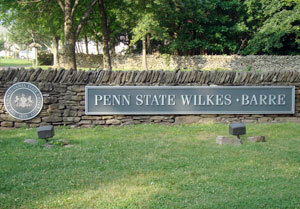 The largest Penn State campus offers academics, activities, and recreation in the college town of State College. With the largest variety of Penn State programs to choose from, University Park offers certificates and associate, bachelor’s, master’s, and doctoral degrees. Located on a scenic estate just 13 miles from Wilkes-Barre, we offer professional development and associate and bachelor’s degree programs. Our small classes encourage close interaction with professors who are committed to helping you succeed. Penn State World Campus offers adults the flexibility and convenience of an online education with the prestige of a major research university. 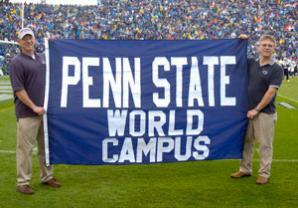 Perfect for busy adults, Penn State World Campus offers more than 150 certificate and degree programs online. 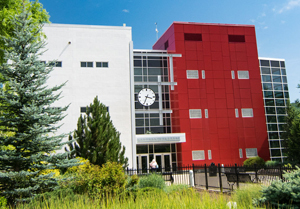 Located on a sprawling 45-acre campus just outside of Scranton, we strive to provide innovative instruction and help you achieve your potential. Our faculty and staff are eager to help you learn and enjoy your college experience, whether your choices are associate or baccalaureate degree programs. 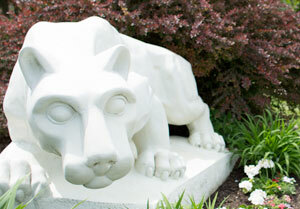 Located in southeastern Pennsylvania, Penn State York has designed programs to meet the needs of adult learners throughout York and Lancaster counties, by offering certificates and degrees, including graduate programs, at convenient times and locations.